The Ankara Chief Public Prosecutor’s Office has issued detention warrants for 40 individuals including academics and staff members at the Ankara-based Turgut Özal University which was closed down by the government in the aftermath of a failed coup attempt last July due to its links to the Gülen movement. The academics and staff members are being accused of using a smart phone application known as ByLock, which is considered by the Turkish authorities as the top communication tool among the followers of the Gülen movement. The Turkish government accuses the movement of masterminding the failed putsch while the movement strongly denies any involvement. The coup attempt on July 15 killed over 240 people and wounded more than a thousand others. Immediately after the putsch, the Justice and Development Party (AK Party) government along with President Erdoğan pinned the blame on the Gülen movement. 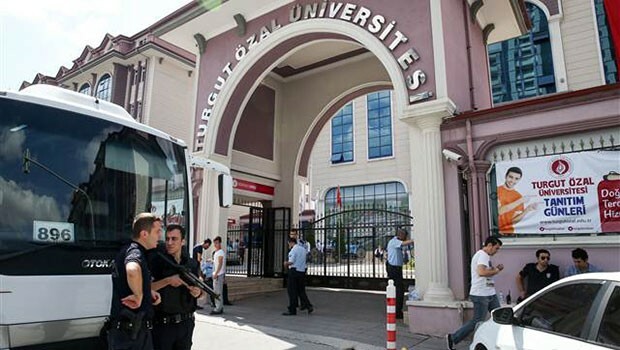 Dozens of educational institutions and media outlets were shut down while hundreds of companies were seized by the government due to their links to the Gülen movement in the aftermath of the failed putsch.